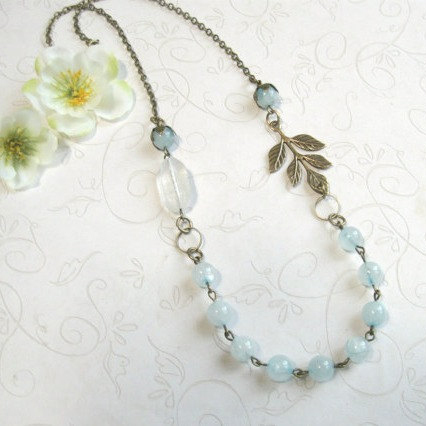 So pretty, here a vintage style, pale blue jade necklace, featuring round blue jade beads. 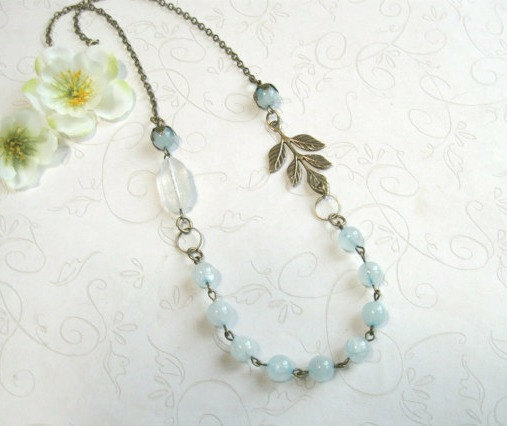 This lovely necklace is also comprised of both vintage and contemporary beads, including one vintage frosted glass bead, light blue jade beads, along with a detailed brass leaf branch. 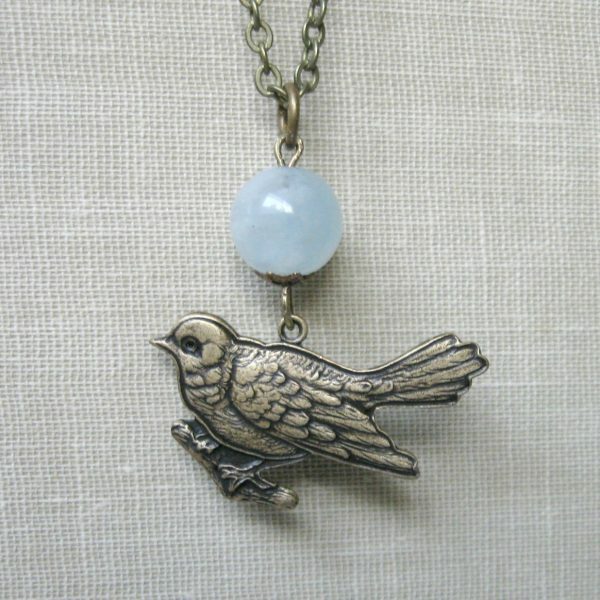 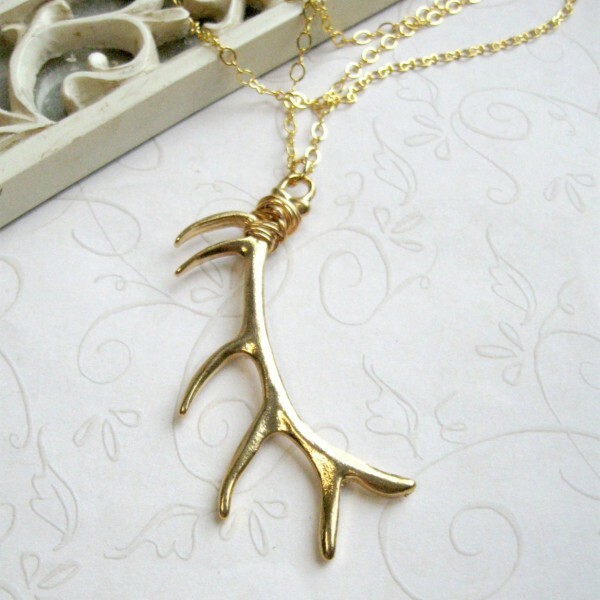 This vintage style necklace comes with a sturdy brass chain and solid brass clasp closure. 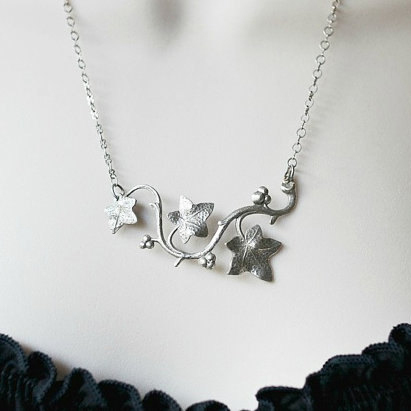 Note: The oblong bead may vary a bit from the one picture.